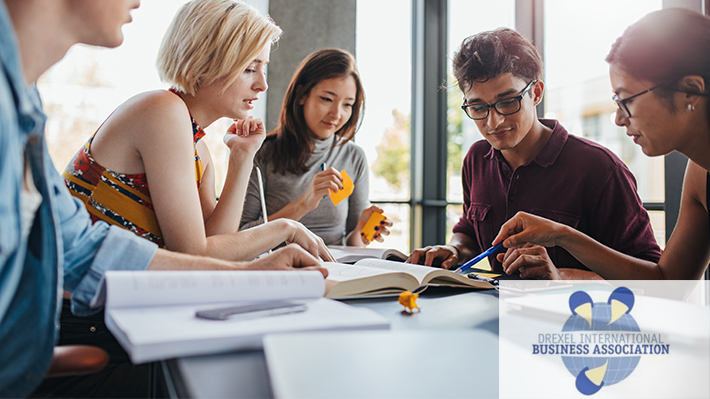 The goal of the Drexel International Business Association (DIBA) is to play a role in enhancing the minds and developing the skills of the global student body of Drexel to help them become leaders in the in the international business world. DIBA comes together to form a diverse community to be able to share different experiences and ideas, to discuss future prospects and business plans, and to get to know other Drexel students and International Business experts of different backgrounds, concentrations, and lifestyles. International Business is about interacting with people from different nations and different cultures, who have different beliefs but share common values and who contribute to global business in their own ways daily.